There is no such place as Krassnia. Lucy Stone should know—she was born there. In that tiny, troubled region of the former Soviet Union, revolution is brewing. Its organizers need a safe place to meet, and where better than the virtual spaces of an online game? Lucy, who works for a start-up games company in Edinburgh, has a project that almost seems made for the job: a game inspired by The Krassniad, an epic folk tale concocted by Lucy’s mother, Amanda, who studied there in the 1980s. Lucy knows Amanda is a spook. She knows her great-grandmother Eugenie also visited the country in the 1930s and met the man who originally collected Krassnian folklore, and who perished in Stalin’s terror. As Lucy digs up details about her birthplace to slot into the game, she finds the open secrets of her family’s past, the darker secrets of Krassnia’s past—and hints about the crucial role she is destined to play in The Restoration Game. Combining international intrigue with cutting-edge philosophical speculation, romance with adventure, and online gaming with real-life consequences, this book delivers as science fiction and as a sharp take on our present world from the viewpoint of a complex, engaging heroine who has to fight her way through a maze of political and family manipulation to take control of her own life. Ken MacLeod was born in Stornoway, Isle of Lewis, Scotland, on August 2, 1954. He is married with two grown-up children and lives in West Lothian. He has an honours and a master’s degree in biological subjects and worked for some years in the IT industry. Since 1997 he has been a full-time writer, and in 2009 was Writer in Residence at the ESRC Genomics Policy and Research Forum at Edinburgh University. He is the author of twelve novels, from The Star Fraction (1995) to The Restoration Game (2010), and many articles and short stories. His novels have received two BSFA Awards and three Prometheus Awards, and several have been short-listed for the Clarke and Hugo Awards. Ken MacLeod’s weblog is The Early Days of a Better Nation: http://kenmacleod.blogspot.com. in love with science fiction again after many years away from it." "In this brash, odd tour-de-force, he succeeds partly by taking chances many authors would balk at and partly by virtue of some solid craftsmanship. 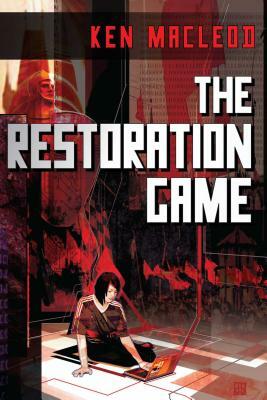 The Restoration Game is the first Ken MacLeod novel I’ve read. It won’t be the last." "This is a writer at the peak of his powers."